While Atlanta Public School officials, demographers and concerned parents have largely focused on plans to redraw school-district boundaries in an effort to redistribute students and resources more equitably, a parallel boundary debate has been underway. The Atlanta City Council must redraw its boundaries in response to population shifts documented in the 2010 Census. 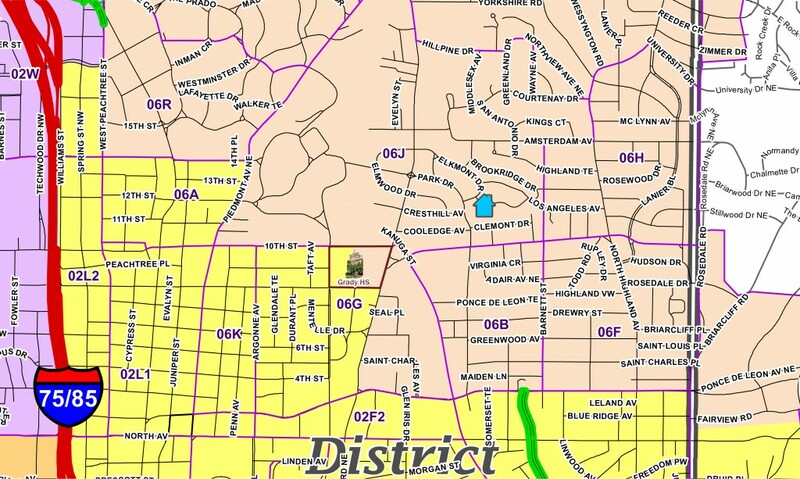 Nowhere has the debate been more heated than in Midtown where the newly drawn District 2 (which includes Candler Park and most of Old Midtown) and District 6 (which includes Virginia Highland, Morningside and Lenox Park) are fighting to keep prized Midtown properties, like Grady High School, within their districts. Under a compromise plan, Plan 6, the boundary between the two districts would be drawn not along a major road, but rather straight across Grady’s campus. The two districts would literally cut Grady in half and share it like two halves of a sandwich. For more details on the plan and what it means for Grady’s future, please see the next print edition of the Southerner.